Hi Mixbookers! Andrew Laffoon here, live from the Mixbook HQ. It's 3am, and it's time for our weekly feature release! In order to whet your appetite for this weeks new features, I've included some sweet Flickr photos of our new features below. This is going to be a powerful new release, and you will have the ability to do some amazing things with your photos that you cannot do anywhere else on the web! 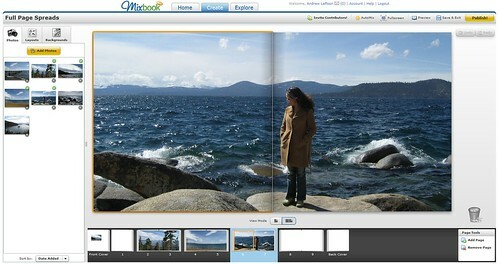 With two page view, you can drag photos to the full size of the spread and make beautiful layouts like this one. 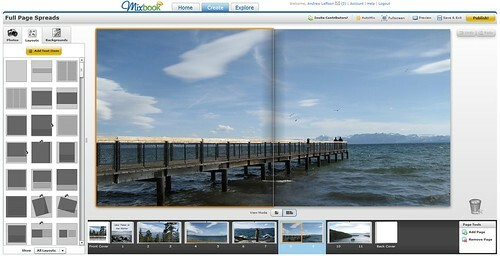 Keep making your great books, and we'll keep making awesome improvements to Mixbook! 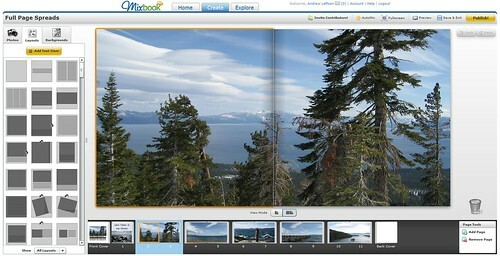 Let us know what you think about the new feature once you use it - feedback at mixbook dot com.